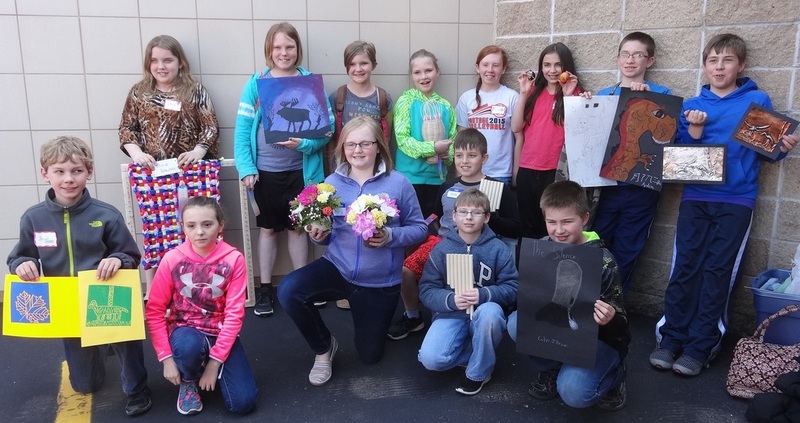 Fourteen Portage students were nominated by art and music teachers to participate in a one day event in Wautoma sponsored by CWTAG. From a list of several dozen classes, each student chose one where they would create or practice all day for a special showing later in the afternoon. Art projects were displayed and performances occurred on stage for the public.